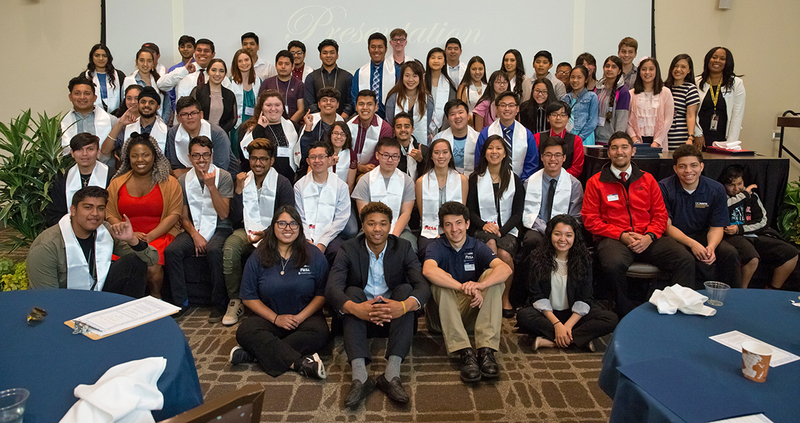 The MESA End-of-Year-Banquet is how we honor high school seniors, exemplary middle school students, Regional MESA Day winners and MESA teachers. All high-school seniors who complete the MESA K-12 Program receive an academic MESA sash for their participation. We wish them well in their higher education pursuits! We know many of them will go on to have great STEM careers!